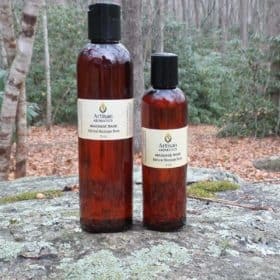 Pure Organic Jojoba - great for the skin and absorbs well. 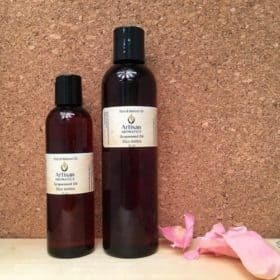 Pure Organic Jojoba (Simmondsia chinensis) may look like any other oil, but after application of organic jojoba to the skin, it becomes quickly apparent that you are working with something highly unique. Absorbs well. Note: slight orange color. Description and Uses: As surprising as it may seem, our Organic Jojoba Oil (Simmondsia chinensis) is not actually an “oil” at all. Oils contain triglycerides, which are fragile and oxidize eventually turning rancid. Pure organic jojoba is a liquid wax ester, much like the esters humans produce in their skin, and does not turn rancid. Liquid organic jojoba wax has an indefinite shelf life. 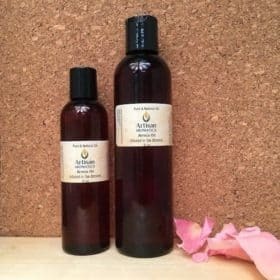 Pure Organic Jojoba Oil (Simmondsia chinensis) may look like any other oil but after application of organic jojoba to the skin, it becomes quickly apparent that you are working with something highly unique. Jojoba absorbs into the skin and leaves the skin feeling very soft and smooth, almost silky to the touch, and definitely not oily or greasy. Organic Jojoba Oil is an emollient; it softens and conditions the skin, the scalp, and the hair. For skin care, it seems to make little sense to put oil onto the skin. Oils oxidize, releasing free radicals, which can actually promote aging. Pure jojoba, which does not oxidize, actually helps the skin maintain itself. Also, unlike oils, pure jojoba is non-allergenic and does not clog pores. 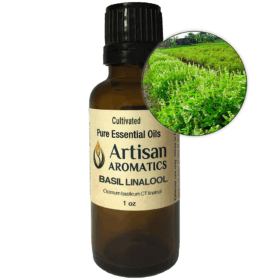 Some may use the term Organic Jojoba Oil instead of jojoba wax, but the terms are used to mean the same thing even though “oil” is a misnomer and in reality, there is no such thing as “jojoba oil”. I know, it looks like an oil, it walks like an oil, it quacks like an oil, but is is NOT an oil. Jojoba is a WAX. 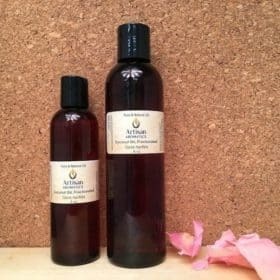 More Info: With jojoba, “less is better” and only a few drops of jojoba should be used at a time until you are fully familiar with the way it works on your skin. To try it out, just place a small drop of Jojoba on the back of your hand. Massage the jojoba was in. Notice that the jojoba spreads easily and absorbs readily. You want the jojoba to absorb because that is how it works best by softening and conditioning the skin. Jojoba restores elasticity to any dry skin area while conditioning and softening the skin. For daily conditioning, apply jojoba was all over the body immediately after bathing. Apply it either while the skin is still wet, permitting the skin to air dry after application, or apply it after gently blotting the skin dry, while the skin is still moist. You can also apply jojoba only to problem areas like elbows, knees, calves, feet or other areas prone to dryness. Jojoba soothes and conditions sun- or wind-burned skin. Jojoba is a “fixative”. While it has a mild, nutty scent of its own, it is totally vulnerable to the scent of its immediate environment. After jojoba has been in your skin for a minute or two, the scent will hardly be distinguishable your own. This characteristic makes jojoba an ideal carrier or base for essential oils and perfumes. 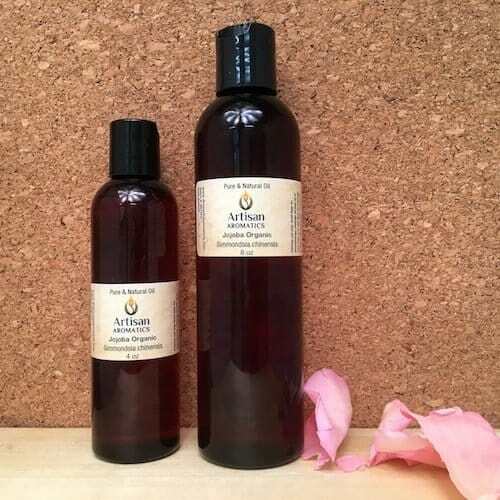 Dilute your essential oils in jojoba before applying to skin, scalp and hair, or for massage.